The rounded sides rising from the tapered foot to the slightly incurved mouth rim, covered inside and out with an opaque glaze of pale milky blue tone thinning to mushroom color at the rim and enhanced with dark purple splashes on the interior and exterior, with a small splash of pale blue glaze on the interior of the small unglazed foot, wood stand. Provenance: Mrs. Wilson P. Foss Collection; Christie's, New York, 23-24 June 1983, lot 98. Literature: Gerald M. Greenwald, The Greenwald Collection, Two Thousand Years of Chinese Ceramics, 1996, no. 28. 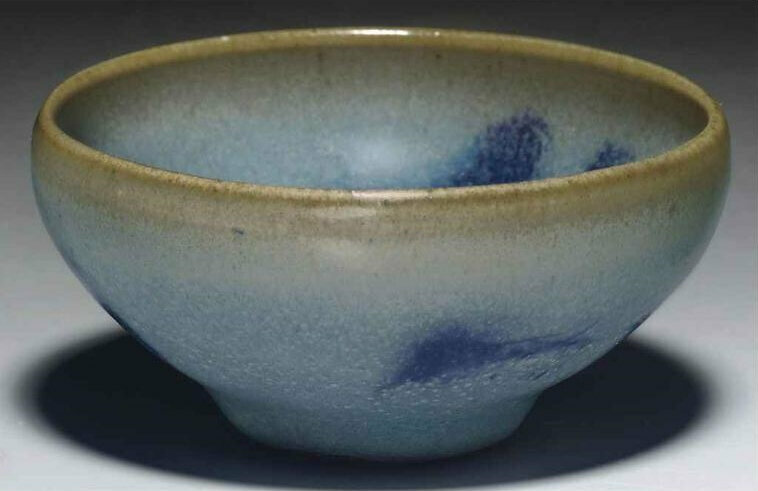 Note: This well-proportioned bowl with its thick, lavender-blue glaze typifies the elegant simplicity of Jun wares. 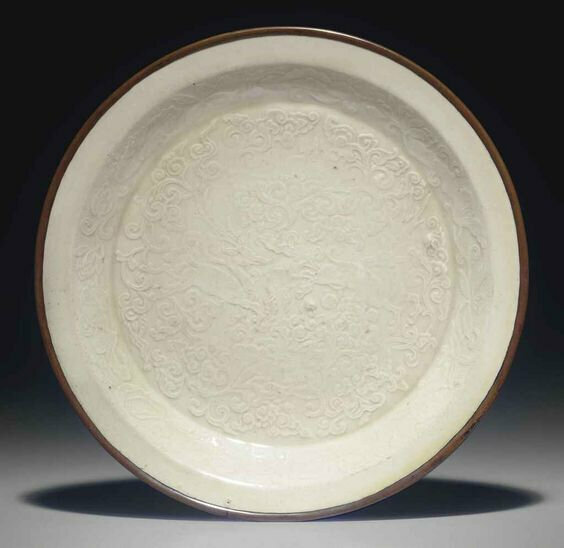 Control of both temperature and duration of firing was crucial to both the color and texture of Jun glazes, and had to be finely judged by the kiln master. 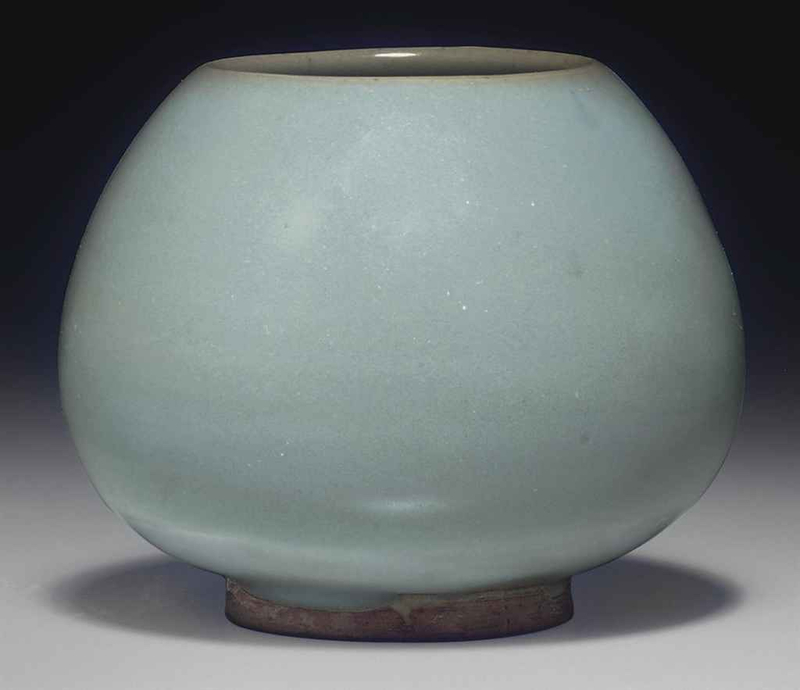 A similarly glazed bowl of the exact same size in the collection of the Percival David Foundation is illustrated by Stacey Pierson in Song Ceramics: Objects of Admiration, London, 2003, p. 61, pl. 20.